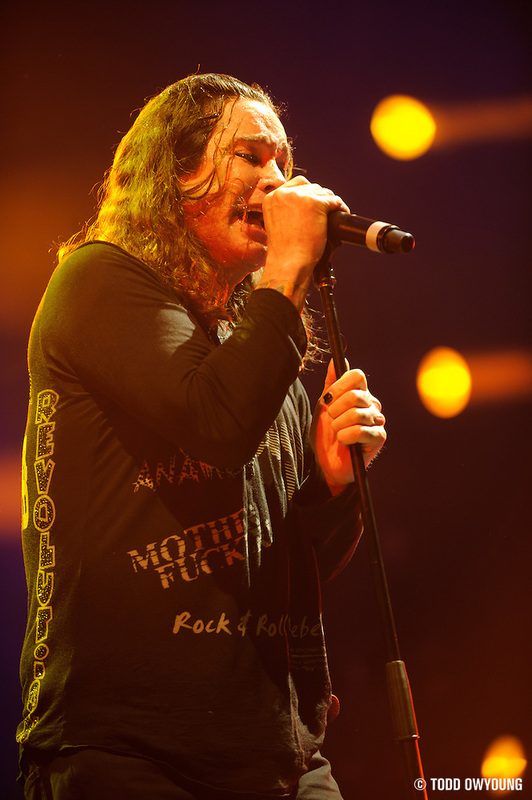 Ozzy Osbourne. 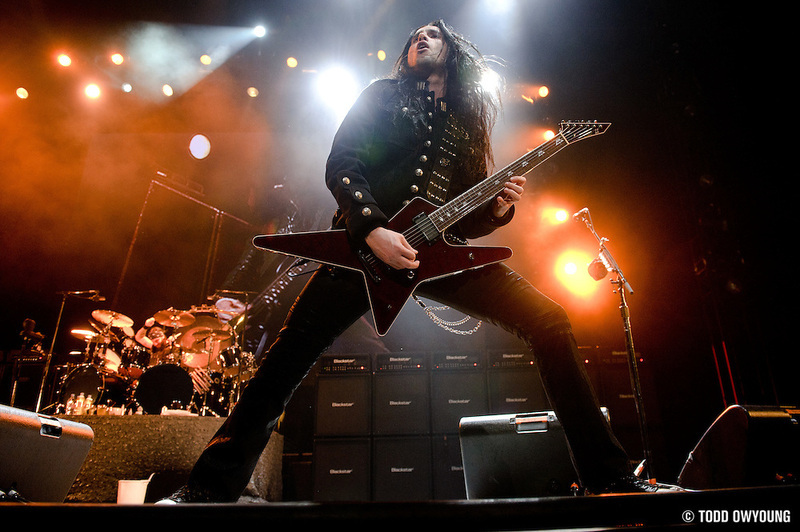 He's been called the Prince of Darkness and the Godfather of Heavy Metal. 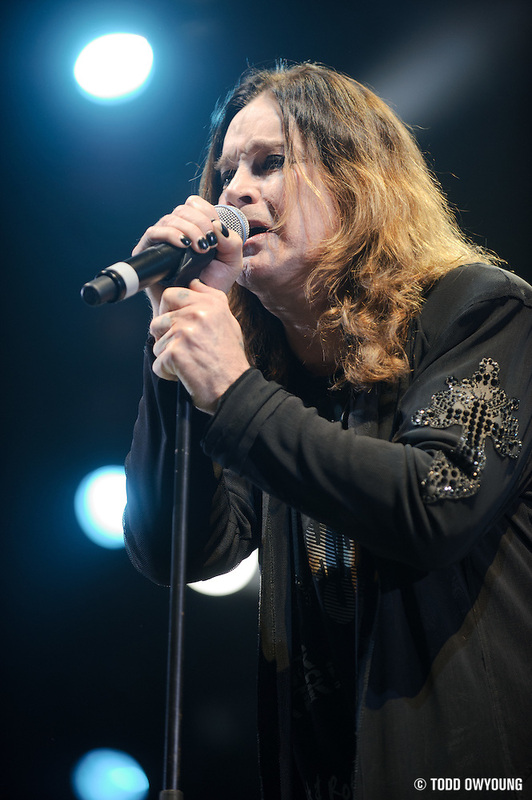 In my second gig shoot of the year, I finally crossed off Ozzy from my music photography bucket list. Needless to say, the music icon did not disappoint. 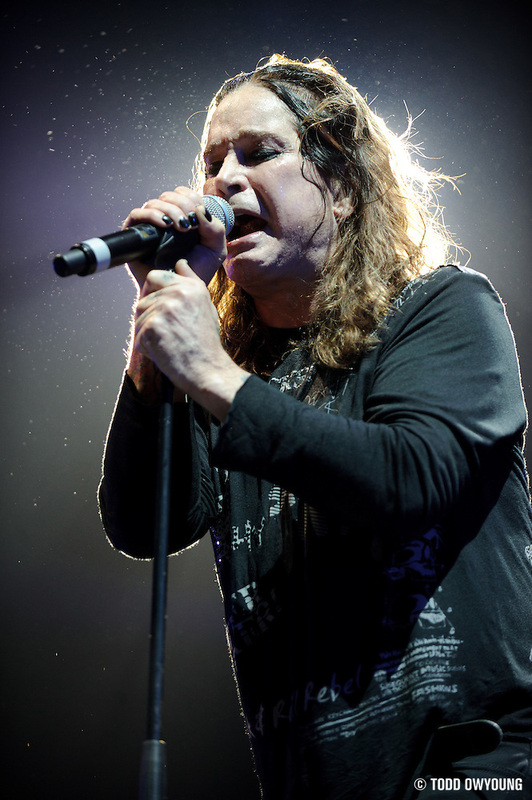 I had an absolute blast photographing Ozzy Osbourne. 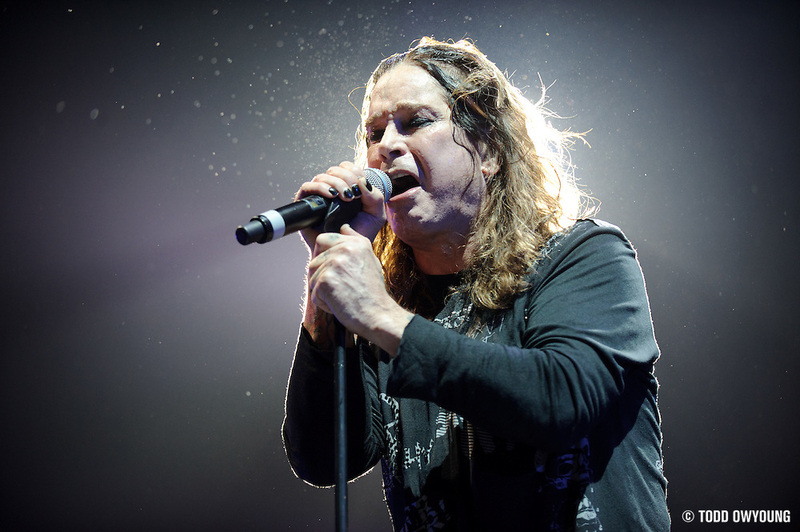 Even though it was a quick two-song shoot for my date, the lighting treatments varied enough to keep things interesting, and Ozzy still has a spark in him that keeps photographers on their toes. I used the Nikon 70-200mm f/2.8 on the Nikon D3 for the majority of shooting. 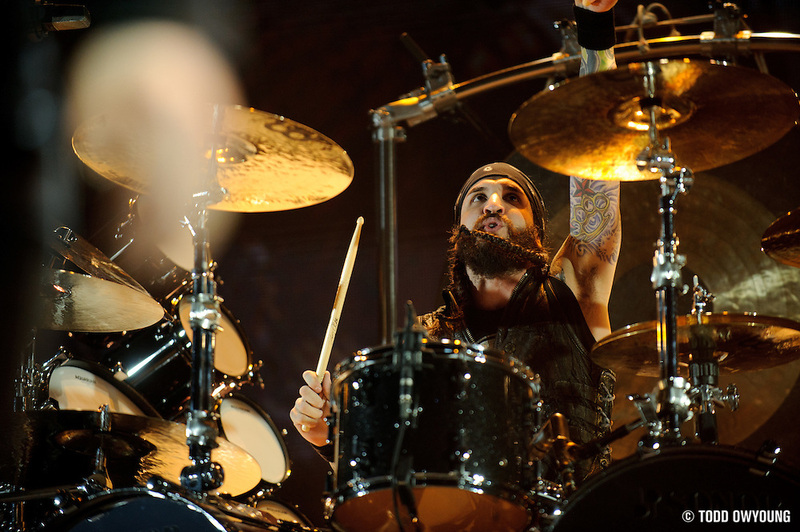 There was enough distance between the pit and Ozzy to make the 70-200mm the perfect range on the full-frame D3. 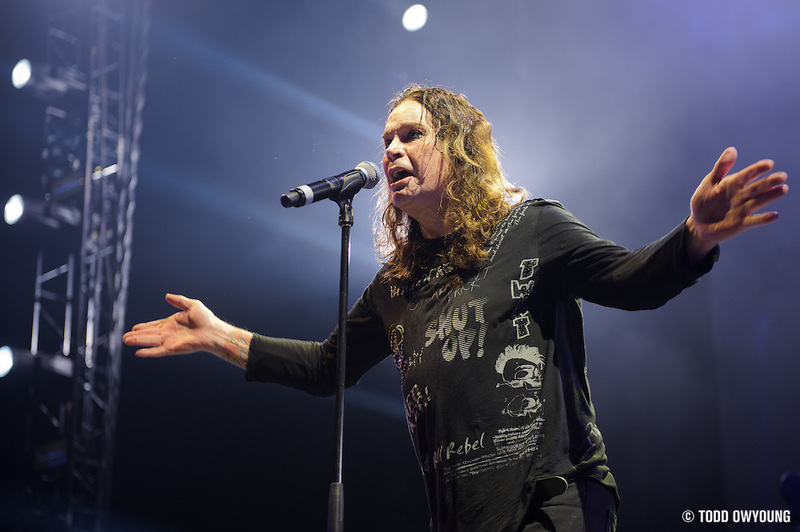 If I were only shooting Ozzy, I could have easily just used this combo for the two songs without regret. 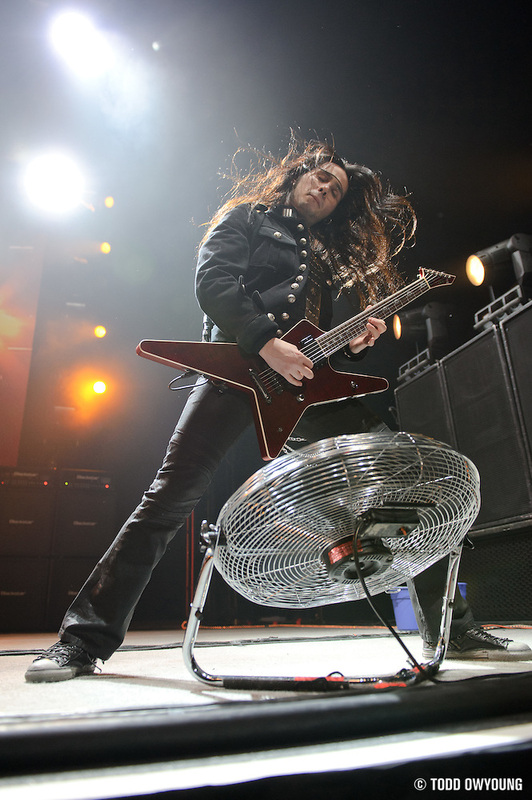 For Ozzy's guitarist Gus G., however, the Nikon 24-70mm f/2.8 on the D700 was great. Gus's mic stand was set back from the front of the stage, but he comes forward often enough that the wide angle of the 24-70mm definitely came in handy. Overall, awesome gig. And the man's still got it. Great set, I like that on the top of post, by the way, what was that at background? that really boost the image! Hey Roldan, thanks for the comment. The background in the first image is actually sparks from pyro that was shot off during the set. A huge boost to the image. 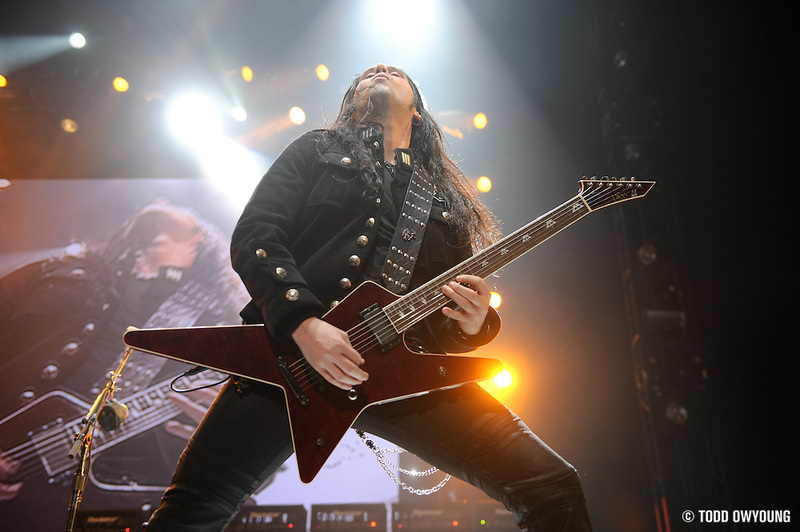 Awesome shots as always todd! i do have a question on your postprocessing workflow before moving to lightroom. You were using using capture nx2 then post process more on photoshop. Did you save the files on Tiff first after tweaking it on nx2? Or you still kept the file as raw? also do you know other sharpening filters other than Lightroom’s? Like nik softwares sharpening pro? Thanks in advance and i’m a big fan. Thanks for the comment. To answer your question, when I used Nikon Capture NX2, I’d output as a JPG and edit in PS. I didn’t even save the quick edits I did in NX2. Now, I do everything in LR3, except for more intensive processing in Photoshop for portraits and commercial work. 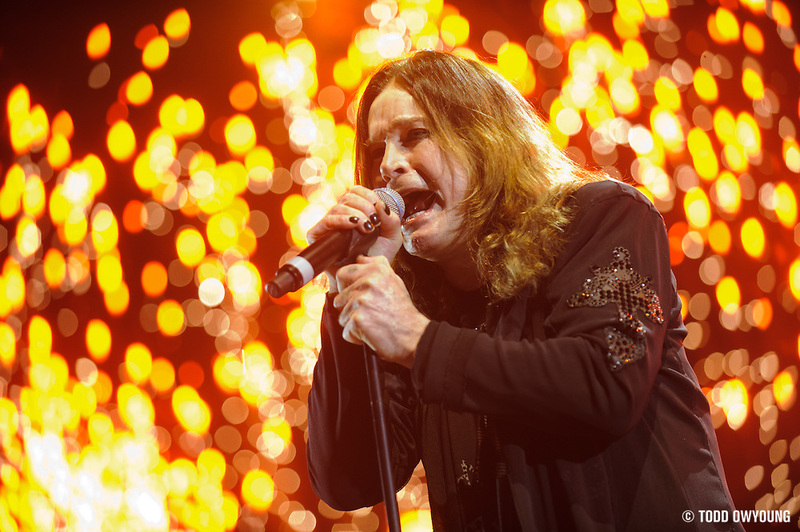 @toddowyoung Incredible shots from the Ozzy show! @toddowyoung Nice! Where was Slash? 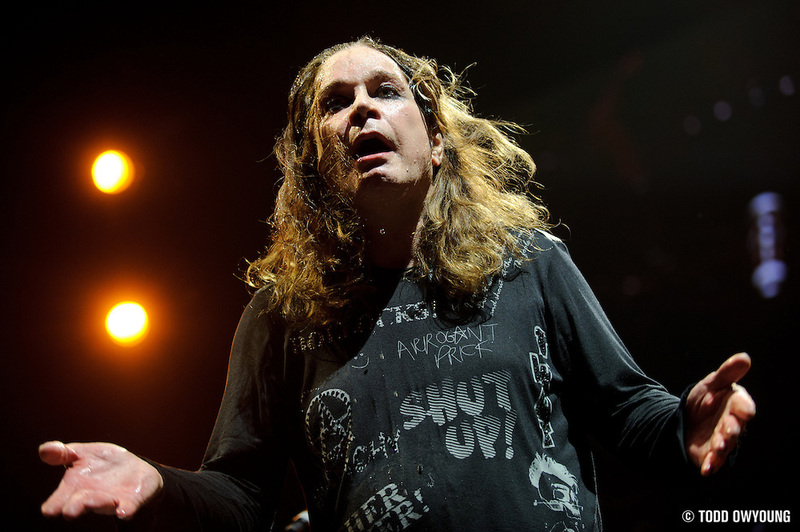 @DebiDelGrande This was an Ozzy-only date that was a make-up for a postponed gig. No Slash, unfortunately. Still need to photo him. 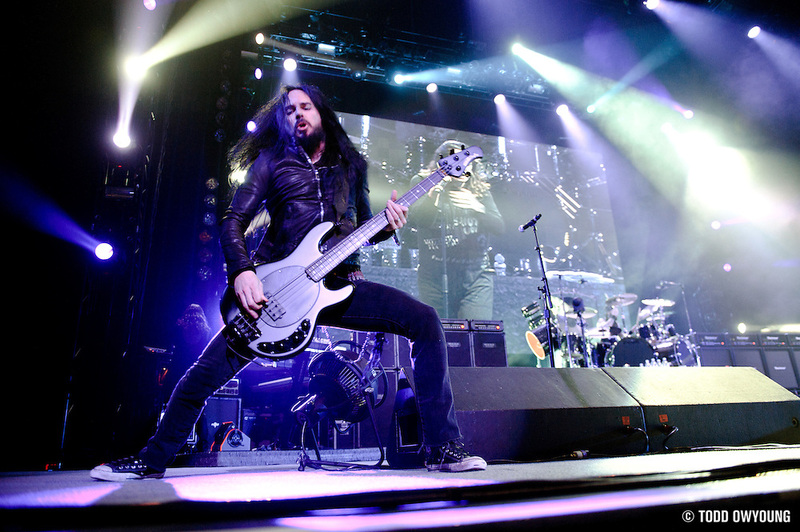 @toddowyoung Some great photos Dude “as always”, :D you really are an inspiration to any aspiring music photographer. @Malachitimothy Thanks for the kind words, I appreciate it. If I can inspire, that’s the biggest compliment I can receive. Keep shooting! 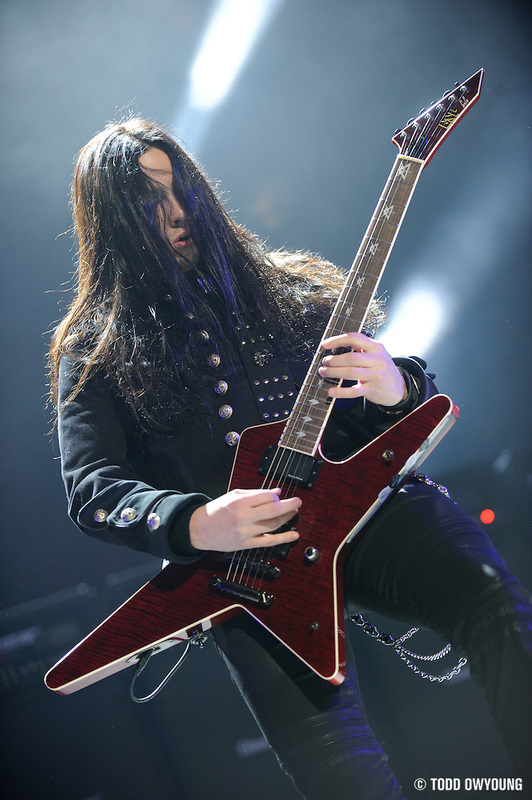 Like OZZY, these photos rock! Thanks for another great set of pics! How many were approved for this show? 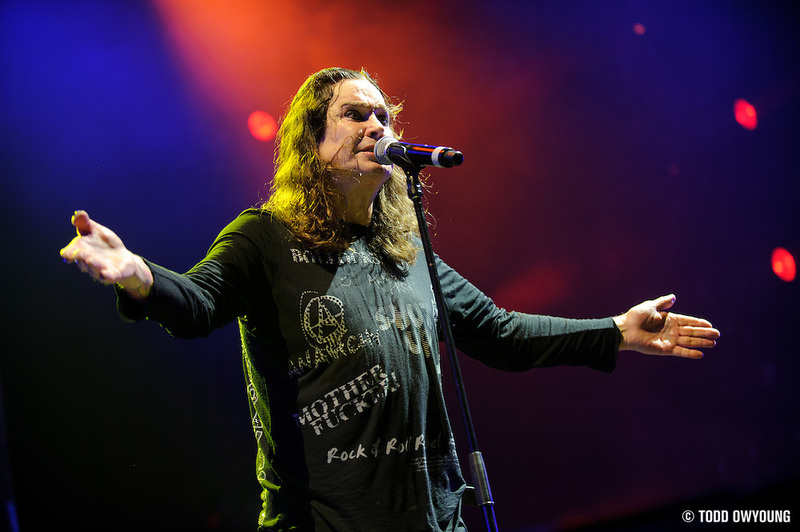 Do you think this tour is as restricted as Ozzy usually is, or is it a little more open in terms of approvals? Two were approved. Print only – 1 daily paper, 1 weekly paper.